If you have ever wanted to send a form without reloading the page, provide a look-ahead search function that prompts the user with suggestions as they type, or auto-save documents, then what you need is AJAX (also known as XHR). A behind-the-scenes request is sent to the server, and returning data to your form. Whenever you see a loader animation after you have made some action on the page, it’s probably an AJAX request being submitted to the server. Designing the best experience is a challenge, and every designer and developer has their own way of tackling it. But, well, no matter how different our approaches are, one thing is for sure: We can learn a lot from each other. To give you your dose of UX inspiration, we are happy to announce that our dear friends at Adobe, are streaming live from the Awwwards Conference which will take place in Berlin on February 8th and 9th. “Progressive Images” is a hot topic these days. We often come across articles explaining techniques on how to avoid showing an empty space where an image will load. Medium and Facebook are examples of websites and mobile apps that apply this pattern. I recently wrote about different ways to use SVG as placeholders, and this year’s PerfPlanet’s Performance Calendar included two posts that further describe SQIP, a technique based on blurred SVGs: Progressive Image Loading using Intersection Observer and SQIP and SQIP — Vague Vectors for Performant Previews. Imagine an application that can, in real time, analyze a user’s emotional response while they’re interacting with an app or website. Or imagine a home device that recognizes you and tunes in to your favorite TV channel. Yes, today’s article is all about facial recognition technology. We’re going to share our first experience of dealing with this technology and the findings we’ve made. Why Is Facial Recognition On The Rise? Time flies! Did you know that it has been more than nine years already since we first embarked on our wallpapers adventure? Nine years is a long time, and sometimes we all should break out of our comfort zones and try something new, right? We’d love to invite you to a little creativity challenge: Get out your pens, paint brushes, camera, or fire up your favorite illustration tool, and design a desktop wallpaper for March 2018. Back in July 2010, I wrote an article for Smashing Magazine entitled “How To Use CSS3 Media Queries To Create A Mobile Version of Your Website.” Almost eight years on, that article still receives a lot of traffic. I thought it would be a nice idea to revisit that subject, now that we have layout methods such as Flexbox and Grid Layout. This article will take a look at the use of media queries for responsive design today, and also have a look at what is coming in the future. dreamt up February 5, 2018 by webguru	in Uncategorized | Comments Off on What Is The Best Advice You Have Ever Received? Our Community Speaks. The beginning of a new year seems like a perfect time to think about what we web professionals do, why we do it, how we could do it better and even how we could have more fun doing it. Like everyone, we learn lessons as we make our way through life and work. If we’re lucky, we pick up some good advice along the way, so we thought it might be useful to find out what kind of advice you all have found to be particularly valuable. Source: Smashing Magazine, What Is The Best Advice You Have Ever Received? Our Community Speaks. Smashing Magazine gave us a little surprise recently: Its website has been completely overhauled, switching away from WordPress to Netlify. One of the several reasons for the move is cost: Netlify allows for a static version of a website, which can be hosted directly on a content delivery network (CDN), reducing the number of web servers that are needed. In addition, because CDNs are located near users, accessing the website becomes faster. Super smooth transitions and a great design. Our pick this week. Add to your creative tool box. You can push pixels, but can you build a responsive web design? Start your path to becoming a front-end web developer, or brush up on your skills with our CSS course. 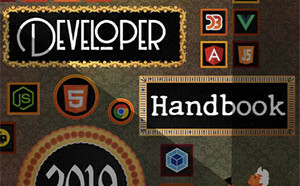 We’ll walk through everything you need to know to build web pages. One of the fantastic design tools made by ShapeFactory. An excerpt from Chapter 19, “Filters, Blending, Clipping, and Masking”, of “CSS: The Definitive Guide” by Eric Meyer and Estelle Weyl. A great technique by Sarah Dayan for multi-colored SVG icon symbols. Luke Whitehouse writes about the unpleasant issue of grandchild elements in BEM and some options for dealing with it. A place to get inspiration for CSS Grid layout examples in the wild. A repository that contains browser compatibility data that describes which platforms support particular Web APIs. Read more about it in this article. Caire is a content aware image resize library that leaves the most important part of the image. Mark Dalgleish shares the great journey of the work that aims to bridge web design and development. Useful info and resources on serverless for web developers. A beautiful demo for snake lovers by Gerard Ferrandez. Some very interesting report insights from We Are Social and Hootsuite. Generate a .sketchpalette file from any Dribbble shot’s color palette to be loaded in the Sketch-Palette plugin. By Amie Chen. Ollie Williams shows how to use variable fonts in your web projects. An easy-to-use timer library compatible with AMD and NodeJS. A great guide to Progressive Web Apps (PWA) by Flavio Copes. First part of an article series about using Web AR using A-Frame to visualize energy consumption using Wemo smart plugs connected to home appliances. By Gemma Vincent. An interesting article by Richard Rutter on the challenges of using variable fonts. A great GLSL demo by Liam Egan. Collective #387 was written by Pedro Botelho and published on Codrops. Content marketing is the practice of creating a piece of content (generally digital) that is both useful and valuable to certain members of your target market(s). This piece of content is generally free, though it may be hidden behind a simple email/lead-capture form, and it usually is meant to be found through search or through free/low-budget distribution methods (think social media, low-cost PPC, a small press release). Some might call this permission marketing, the idea being that your target customers have given you permission to market to them by choosing to access your content.